As the UK experiences a boom in new electric vehicle registrations, ECA Senior Technical Engineer, Gary Parker looks at how the 18th Edition gets to grips with the EV phenomenon. Love them or loathe them, electric vehicles (EVs) are here, and most definitely on the up. Between 2013 and 2018, new EV registrations in the UK rose from a meagre 3,500 to 160,000, with government projections now running into the millions by 2030. Currently, we’re not short of places to charge them: as a result of sustained government and private investment, EV charging points in the UK have increased from just a few hundred in 2011 to more than 5,800 locations, 9,800 charging devices and 16,700 connectors, as of June 2018. The growth shows no signs of slowing, and opportunities for significant new work for electrotechnical installation and service companies are set to grow in parallel. Considering the last Edition of the IET Wiring Regulations (BS 7671) was released in 2008, it’s no surprise that the 18th Edition, published in July and coming into effect from 1st January, contains some changes to the way electrotechnical professionals need to design and install EV installations, specifically in Section 722. Although relatively small, these changes will still have significant implications – particularly for charging points installed at a dwelling, outside a building, or on a TN-C-S earthing system. As with other changes, these are to keep the UK’s standards in tandem with the technical intent of worldwide standards. Mode 1 charging: This system is the simplest, and uses standard socket outlets not exceeding 16A (single or three phase) and the power and protective earth conductors between the AC supply and the vehicle. This system is no longer considered a ‘mainstream charging technology’, however, since it is not regarded as sufficiently safe. Mode 2 charging: This system is similar to Mode 1, in that it uses an AC connection, providing charging currents of 10A or less. But added to it is a control pilot function and system of protection against electric shock. This system is presently considered to be the ‘entry level’ charging solution for single phase domestic applications. Mode 3 charging: This system uses a dedicated charger unit, or to give it its proper term, ‘electric vehicle supply equipment’ (EVSE), with control and monitoring as well as an AC charge supply to the vehicle. Such units often have charge leads tethered to the EVSE. These usually have a larger charging capacity and may sometimes require a 3 phase supply. Mode 4 charging: This system is similar to Mode 3 charging, the difference being that the EVSE provides a DC charge current to the vehicle via a tethered cable. Such EVSEs are normally considerably more complex and expensive, and are thus bigger and usually floor-mounted. They can, however, offer a fundamental attraction for EV owners – more rapid charging. As such, they’re more likely to be found in specific car charging points at service stations, public car parks, large companies etc. What do the Wiring Regulations say? When opened to public comment, the draft revisions for section 722 came under intense scrutiny from the industry. In the final published document, the option to use a protective multiple earthing (PME) facility was reduced. PME is the most common form of earthing provided in new electrical installations. There are ways that PME can be used, but these are often difficult to achieve. Therefore, most installations will rely on separation of the earthing system and making the EV a TT system (using an electrode in the ground). While this is fine in some cases, it can present some issues in installations where the structure of a building is metallic. The building will likely be connected to PME, and the EV in question will likely be separated from it. This leads to a potential issue, where the EV can be at a different potential to the building, increasing the chance of electric shock. When it comes to RCDs, BS 7671 now recognises different types, based on their ability to work with circuits that have DC, power electronics or specialist products on them. These newly recognised types of RCDs are specifically picked up on in section 722 for EVs, but general awareness of these in the wider industry is very low. The new devices are electronic in nature and have a different reaction to circuits containing power electronics that can distort the waveform. The industry and its customers are only just becoming aware of these products, the costs are high in comparison to existing devices, and availability is limited. Typical 13A sockets, as described in Mode 1 charging earlier, are very useful in the home or the office. But if used to charge an EV for around ten or more hours, they can become damaged. They’re simply not designed to work at full capacity for these prolonged periods. Therefore, any compliant BS 1363 socket intended for EV charging should be clearly marked as such, to show that they are made for this purpose, and are generally more capable of taking the high electrical loads associated with EV charging. If a recently published report by the National Infrastructure Commission (NIC) is anything to go by, the UK is set for stupendous EV growth in the years to come. 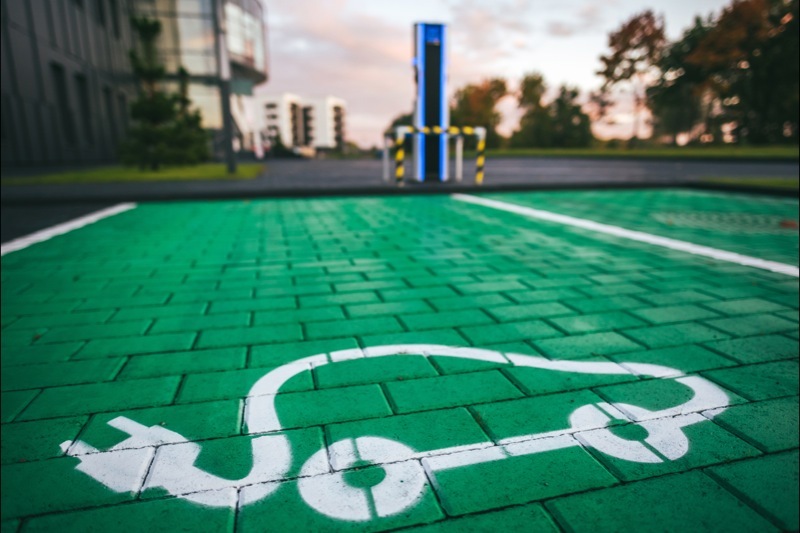 The way government and industry respond to this will be vital in determining whether the growth forecasts can be sustained, and whether EVs will really become the driving force behind UK road transport.